Lemons are loaded with vitamin C, which promotes radiant skin and collagen production. Lemons also contain enzymes that help regenerate liver tissue. Your liver is your main detoxification organ –the better it functions the more detoxified your body is, and the more radiant your skin will become. Start your day with some hot water and lemon, or add a squeeze to your salads. 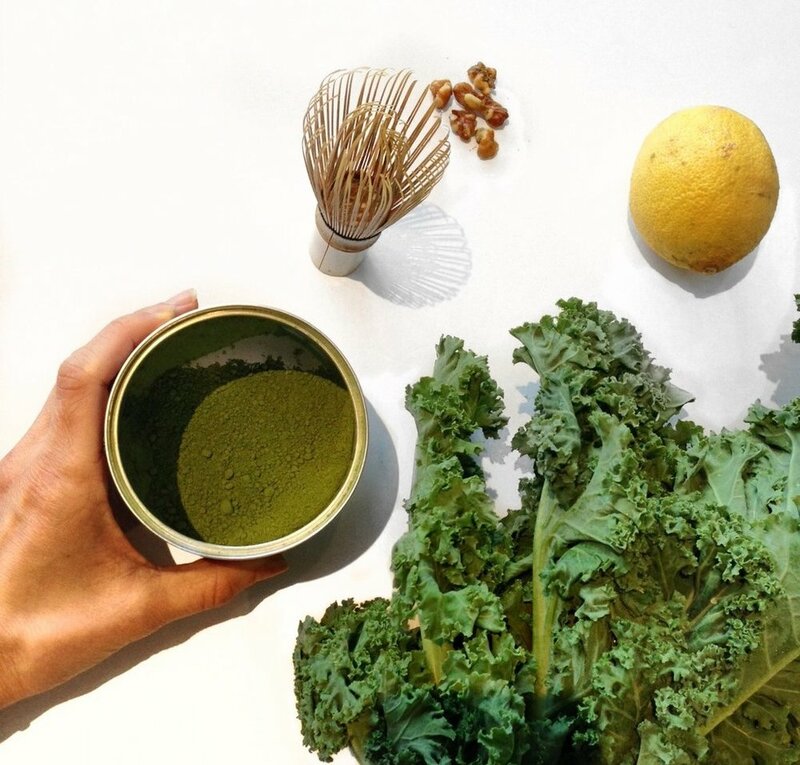 Kale has become a buzzword and the picture of health, so there’s no surprise that it’s good for you skin. Kale is an excellent source of beauty-boosting vitamins and minerals, such as magnesium and vitamins A, C, and E – all which promote anti-ageing, and new cell growth. Tip: When consuming kale, pair it with a healthy fat - like olive oil. This allows your body to properly absorb and utilize all the nutrients. Making the switch from soda to kombucha is one of the best things you can do for your skin! Kombucha is a fermented tea that’s rich in probiotics. Probiotics are one of your biggest beauty weapons for clear, glowing skin. They encourage the growth of good bacteria in your gut, which helps keep your digestion on track and ensures better nutrient delivery to the skin. Avid kombucha drinkers report improvement of tone and clarity of their skin along with reduction of wrinkles, scarring, freckles, brown age spots and rashes. Walnuts contain a significant amount of healthy omega 3 fatty acids, which are great for anti-aging, making your skin more supple, helping lift sagging skin, and so much more. In severe cases, deficiency in omega 3’s can result in dry scaly skin and eczema. Tip: to avoid added unhealthy and inflammatory oils, buy raw or dry roasted nuts. Matcha contains catechins, a type of antioxidant proven to reduce inflammation. Reducing inflammation in the body will help with acne, eczema and other inflammatory skin conditions. Matcha also reduces free radicals, which delays skin aging.